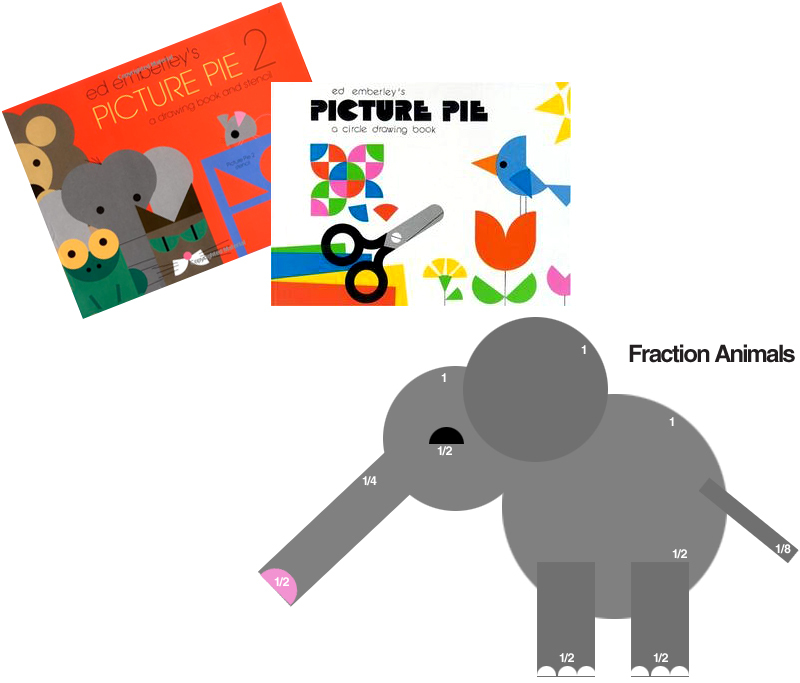 After reading the books Picture Pie and Picture Pie 2, by Ed Emberley, have students create a fraction animal! They could make fish, insects, rodents, birds, turtles, giraffes, anything they'd like! Try to have each student create a different animal. Make sure to remind them to write down the fraction of each shape they used. Click here for fraction flowers, post-it math art, and frac-geo-bot! Note: For a larger project, you could have kids create a fraction picture: sun, clouds, trees, flowers, etc. along with their animal. Remind them to stay true to the animal's habitat.